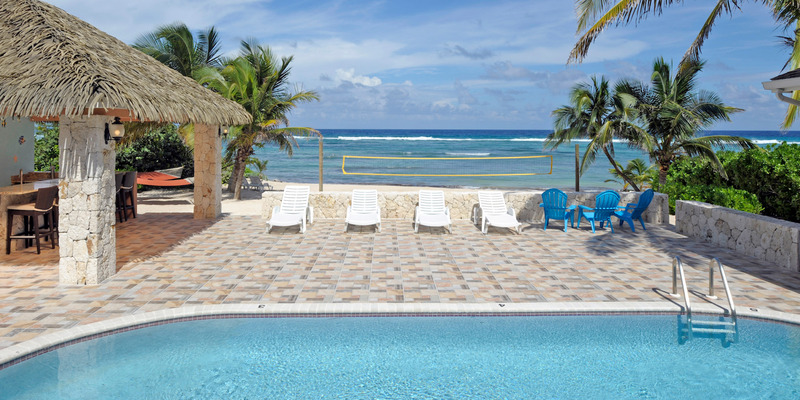 Reef Romance is directly oceanfront in Rum Point along the north coast. A perfect getaway spot for up to five couples, Reef Romance features five king suites, a sizable sandy beach, and excellent snorkeling just steps off the back door! 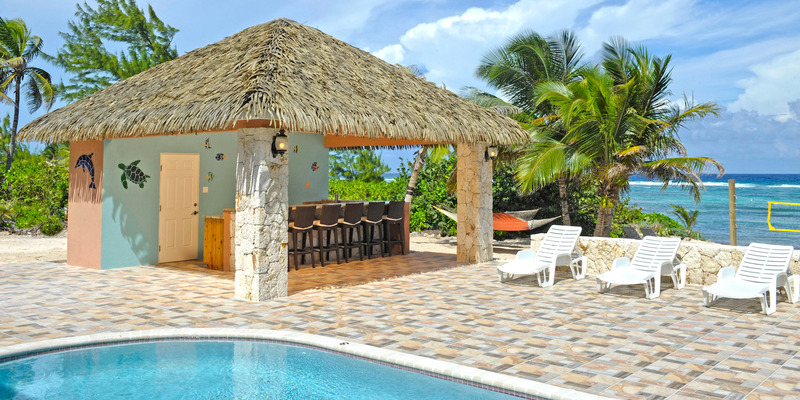 The oceanfront pool, hammocks, and outdoor thatched cabana bar--complete with outdoor bathroom--offer the chance to lounge, swim and enjoy the warm Caribbean sun. Comfortable and spacious enough for you and your guests to spread out and relax, Reef Romance offers laid-back luxury, indoors and out. 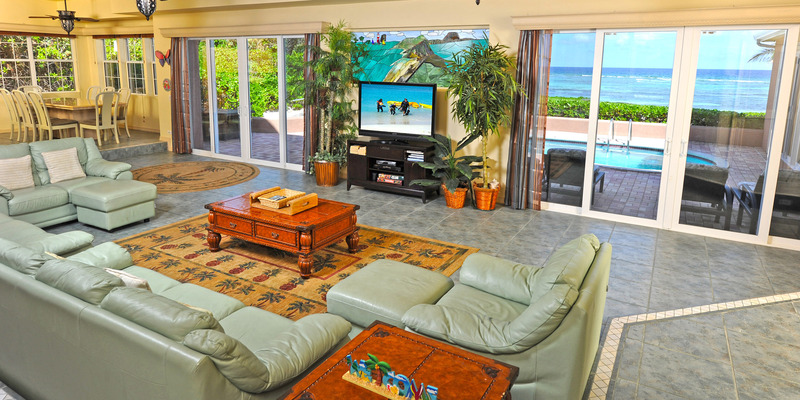 Oceanfront great room with stunning views comes furnished with a large flat-screen TV, stereo, and multiple couches for everyone to lounge together after a day of sun and surf. French glass doors, leading out to the pool deck, and plenty of windows flood the great room, kitchen, and indoor dining area with sunshine all year round. The dining table seats eight, in addition to the bar seating in the kitchen area. Modern kitchen with standard appliances, along with a full complement of dishware, cookware, cutlery, and a coffee maker. Five king suites, all with ocean views! 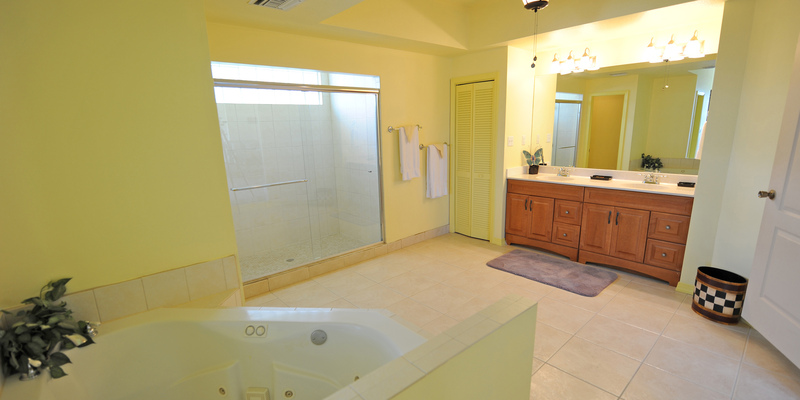 Main floor master king suite opens onto the pool deck; ensutie bath has an oversized tub. Flat screen TVs in master bedroom and living area. 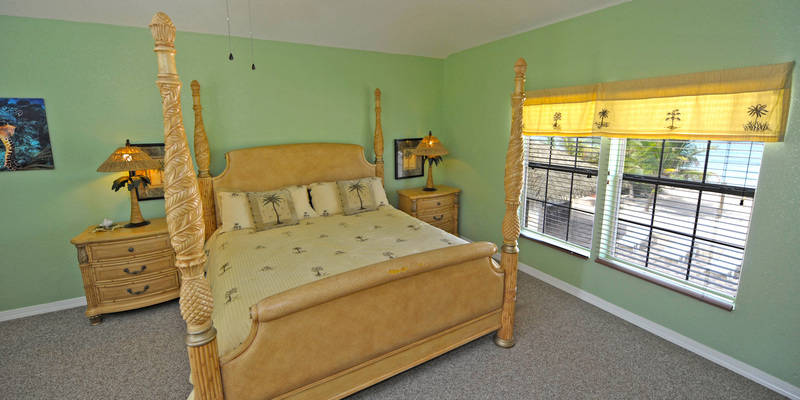 Accommodates up to 10 people (10 adults max. ); excellent family or 3-5 couples villa. Outdoor bar beneath a thatched cabana just off the pool deck for happy hour. 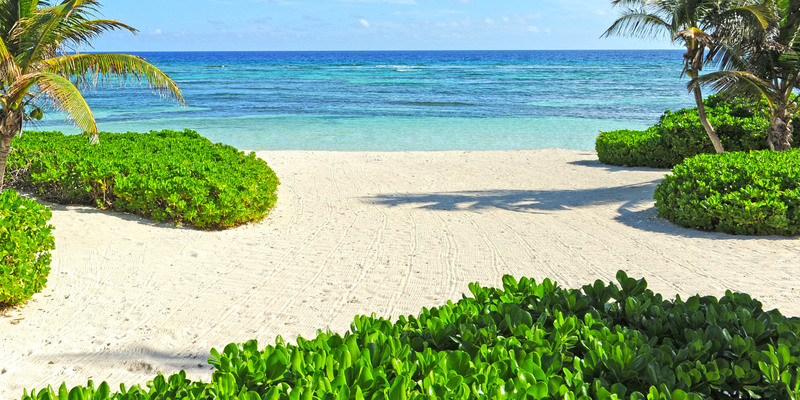 Lovely sandy beach for swimming or snorkeling. There is a healthy marine environment, so we ask that you wear pool shoes or fins while you go explore! 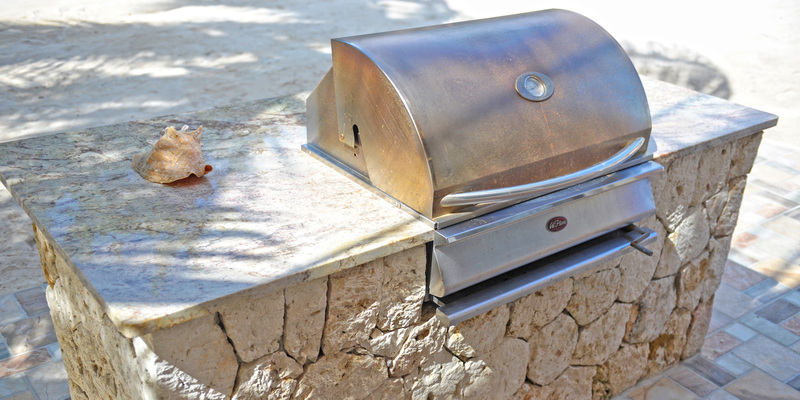 Large charcoal grill for cookouts on the pool deck. *Note: Silver Thatch kayaks available for discounted rental. Signed waiver and 5 day minimum required with 6th and 7th day free: US$39 per day per kayak ($195 per week each). Paddles included. The closer you get to Rum Point, usually the sandier the beach as well as swimming. Either way, with the abundant marine life we have in the water, you will want to wear pool shoes or fins for foot protection. The prevailing trade winds from the east also make flying insects less of a nuisance—many of the homes in Rum Point don’t even need a screened porch. The big draw to this area is the proximity to the Rum Point Club, a public beach club that offers a fantastic barefoot beach, tons of water sports, a restaurant bar and grill, a gift shop and pick-up beach volleyball games. Also near Rum Point is the Kaibo Yacht Club restaurant, bar and marina. Lastly, we have two large resorts in the east end (Morritt's and The Reef) that offer manicured beaches as well as restaurants, a modern grocery store, liquor store, gift shops, a Subway sandwich shop, and a cafe/pastry shop. *Signed waiver and 5 day minimum required with 6th and 7th day free, paddles included! US$39 per day per kayak ($195 per week). 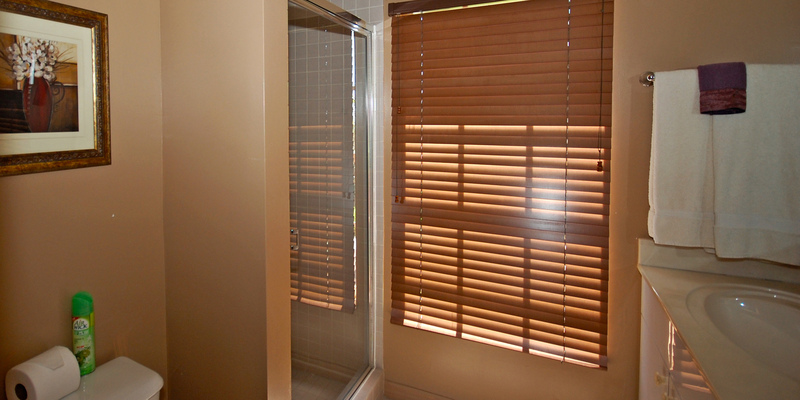 This was a great rental property, I thought the layout was perfect and it suited our family well. Perfect location to relax and enjoy the view of the North side. Clean and spacious. Easy walk to Rum Point if you\'re the active sort. We had 5 couples stay for the week. Really would have appreciated more than one, very small roll of toilet paper in each bathroom and simple, inexpensive amenities like tin foil and a zip lock bag with a few spices to cook with would have been very helpful. Thankfully we did rent 2 vehicles upon arrival, and that is a must unless you plan on staying put the entire time. The television outside did not work, though we did not watch much TV. The layout is good for a large group though, but I would truly plan ahead to purchase groceries in Georgetown before you come over north. As a whole, the consensus was very positive. Oh, and bug spray at night is a must. We thoroughly enjoyed our recent stay at Reef Romance. The house is laid out perfectly with 5 bedrooms, each with their own private bathroom. The weather during our stay included 4 days of 20 MPH winds or greater. Some of my comments may be the result of that weather. The outside bar was used briefly. We utilized the refrigerator for overflow beverages. We didn\'t use the Kegorater which was taped shut, probably due to winds. We used the outside TV once after figuring out how to turn it on. It appeared to us that you can either have the TV on out by the bar or in the living room, not both at the same time. There was some seaweed that washed up on our beach during our visit. We did spend some time in the water just outside the house, but several in our party balked at having to step over seaweed that had washed up over the windy days. 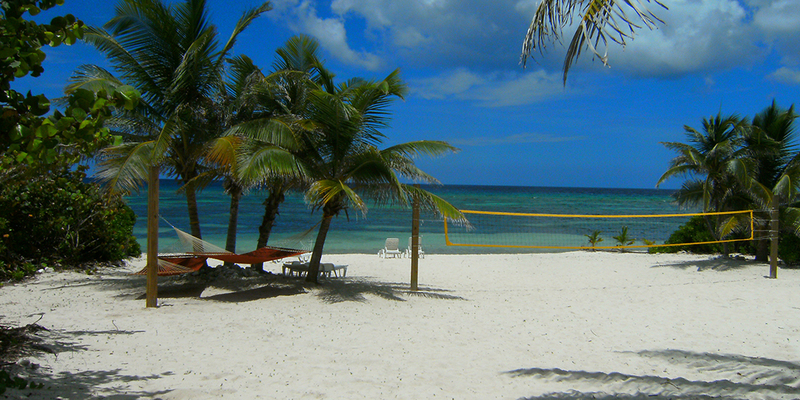 We didn\'t utilize the volleyball court due to the wind. The sand outside the house contains some coral and rocks, so it really wouldn\'t be great for playing volleyball barefoot. Probably would need to wear shoes to be safe. We purchased a Bocci ball set from a local sports company and played that often. That was not a problem in the wind. The kitchen is well stocked with utensils, plates, bowls, glasses, etc. The only issue we had with the kitchen is that there are a large number of knives available, but none of them are very sharp. We did a lot of cooking while on the island and we had some difficulty cutting even an onion with the knives available. There are puzzles in the master bedroom chest of drawers. There are also books under the sink in the 1/2 bath. It would be nice if there was an information book about things in the house, restaurant recommendations, places to visit, etc., rather than just instructions on how to use the TV. The location is very private. We would definitely stay at this location again. The wind was from the northeast during much of your stay and that does change the dynamics of the beach and seaweed. A short drive away is Rum Point that is a bit sheltered and is much less affected by the winds. Hope you were able to go there some. Our Silver Thatch Card is good for discounts there too!!! I wish we could control Mother Nature!! Please come back again soon. It was nice meeting your group! We took our family back to Cayman as there spouses and our grandkids have never been. It had been 15 years since we been there. Knowing 7 mile was busyer then it it use to be we looked for something on rum point. What a great place reef romance is. Could not of been happier and boat trips we booked through Grand Cayman villi & condo was some of the best time we have spent on the water there. Captain & boat where top notch. GCVC is the go to place from now on for us. They really take care of there customers and go above and beyond any other company I\'ve dealt by email. There silver thatch building will give them a more hands on with customers so they are taking it to the next level, and we hope to get back and see it and meet some of the people behind this great organization. Look No Further, Reef Romance is PERFECT! Reef Romance is the PERFECT home!! We travel twice a year to Caribbean Islands and this was our first time to the Caymans. We spent quite a bit of time researching homes to find the perfect spot for our group. Scott with Grand Cayman Villas was so wonderful to work with. We wound up booking Reef Romance and couldn\'t have been happier! The setup of the home is more than ideal. We were pleasantly surprised when we arrived too -- the kitchen and dining room had been fully remodeled; which the pictures online don\'t reflect. Can\'t complain about that at all!! Some other furnishings have also been updated - such as rugs, decor, and tables. The home is stunning, spacious and one of the best homes we have ever rented. Pro Tip - do not bring towels with you! I know the description says this home comes with beach towels - but we still brought a few to be safe...This home doesn\'t just come with towels, it comes with a tonnnnn of towels! I was nervous booking Rum Point because we also like to swim in the ocean -- that shouldn\'t have even been a concern. We swam for days in the ocean! It is beautiful, not rocky at all. The beach was even freshly raked for our arrival. The pool deck & tiki bar were AMAZING!! We grilled out and watched football outside on Saturday night -- the TV at the tiki bar was clutch; as was the ocean breeze. I\'m telling you -- this home has bar none the best beach and pool deck area! We rented a car through Marshalls - they were easy to deal with and the van was perfect for getting us around the Island. The BEST excursion we did was chartered a boat through Native Way Watersports. Captain Chris was off the charts with his level of service. We wound up booking him for a second trip two days later! He took us snorkeling and to Stingray City. He was fun and I highly recommend him! I can\'t say enough nice things about Rum Point, the folks at Grand Cayman Villas, or Reef Romance. You will not be disappointed if you book this home! We had 5 adults who were fortunate enough to book this place last minute after Irma changed our original plans for Tortola. We did take a few days out of the week to see some of the sights that Grand Cayman offers like star fish point and sting ray city and bioluminescent tours but the days we stayed at the house were just as great. We had basically our own private beach and saw star fish and sting rays out in the water. We brought bocce ball with us and enjoyed playing that out on the beach. We had a chef cook and private yoga and private massages without leaving the house. Roy was a pleasure to work with. The house is quite a haul from main grocery stores but it\'s nice being away from it all. The best bargain meal was Kurt\'s Corner. We also ate at Kaibo and Over the Edge for closer meals. The house is well stocked with spices and kitchen utensils and towels. 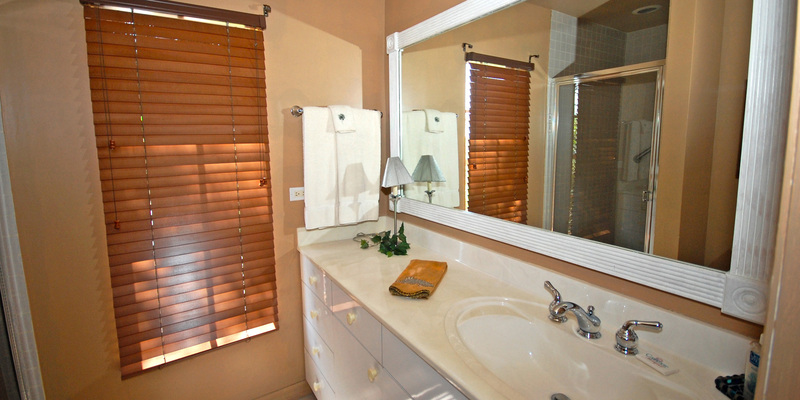 The property was ideal for our group of five couples and we highly recommend it. 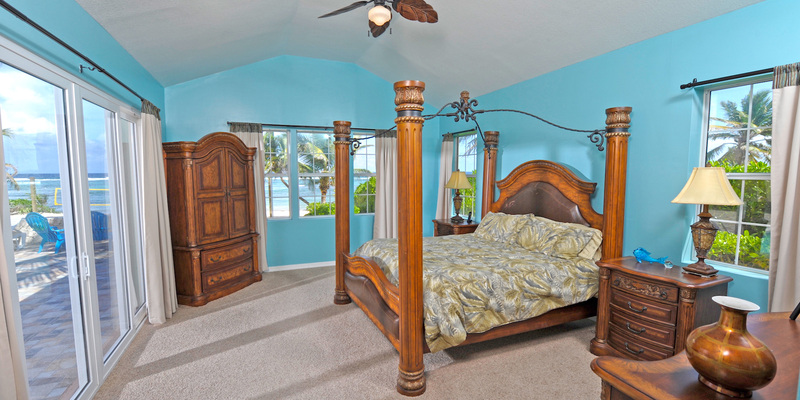 It offered a roomy gathering area on the ground floor, and five spacious private king bedrooms/bathrooms with ocean views, all set on a beautiful stretch of ocean. The villa is set back a bit from the road and has an empty lot on one side, making it very quiet and private. 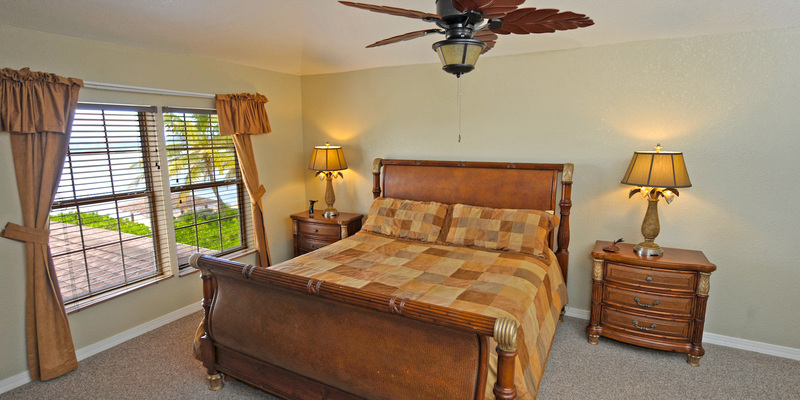 In addition to the master king suite on the ground floor, there is a half bath and a laundry room stocked with many beach towels. There is also an outdoor shower and a half bath at the pool cabana, making it very convenient to avoid tracking sand into the house. We also found useful the charcoal grill, a small outdoor refrigerator, and a pony kegerator. There were plenty of lounges/chairs for all ten of us to relax around the pool and on the beach. The villa is only a short distance to activities and Red Sail Sports at Rum Point, as well as several restaurants serving scrumptious lunches, dinners, and Sunday brunches [Kaibo Beach Bar & Grill, Rum Point Club Restaurant, Over the Edge, Kurt\'s Corner (hidden behind Water Boyz liquor store), Tukka, The Lighthouse]. After picking up our rental vehicles at the airport (Marshall\'s was great), we picked up groceries at Foster\'s IGA and a pony keg at the Cayman Brewery (nice assortment of beer options) on our way from the airport. (To save some money, pick up your duty free liquor at the airport before leaving on your flight to Grand Cayman.) Chisholm\'s groceries (quickmart style) is just down the road from the villa, which came in handy a few times, and it now has Sunday hours. Just pack your clothes and sunscreen, and come relax and enjoy this fabulous, comfortable home with spectacular views! 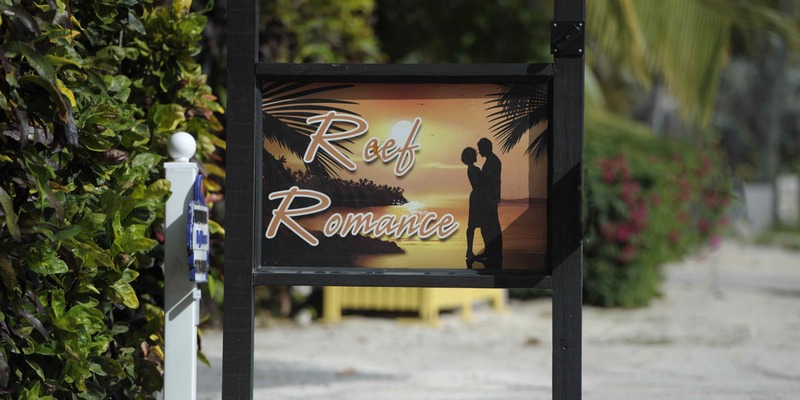 We just returned from a wonderful vacation at Reef Romance. Our jaws dropped the minute we walked into the home, with the furnishings and the view. There was no fighting over the rooms as all were oceanfront. We were 4 couples on our yearly vacation and not once did we feel crowded. The beach was nice and sandy and the snorkeling was fantastic. The pool deck, cabana and pool were even better than the pictures. Every afternoon was spent sitting at our own bar with our own view in our own private world. 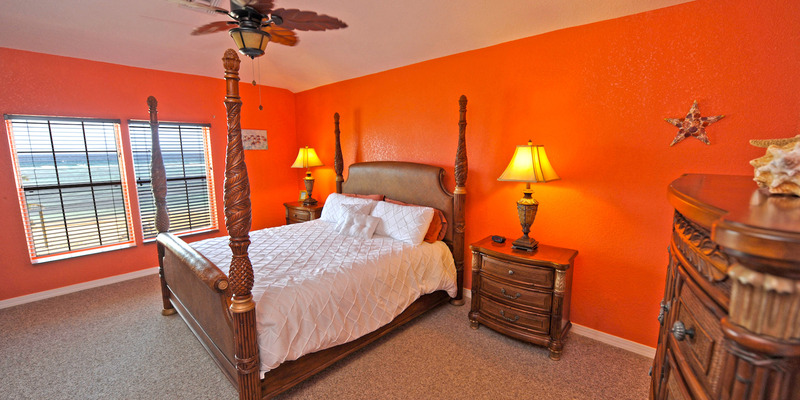 The home is well taken care of and the bedrooms are large each with their own full bathroom. The kitchen was well stocked and we even found spices and such in the pantry.We did venture out a few times to Rum Point for lunch and dinners, and we also enjoyed the Kaibo dinner, Tukka dinner and Sunday brunch. Our favorite adventure was chartering a boat to Stingray City - simply a must for every family. Cant speak highly enough about the service from out reservations contact. He was able to answer all of our questions fromm things to to, to places to eat, to the area location to renting a car. Obviously Grand Cayman Villas knows their island well.. Highly recommend Reef Romance to anyone planning a vacation in Grand Cayman. Our family of 10, 6 adults and 4 children picked Reef Romance from a pool of several homes we considered. We picked this home because of the actual bedrooms and the virtual floor plan helped us plan who slept where... The home was even nicer than we expected and everyone loved the outdoor pool deck, the fine swimming pool and the thatched bar area to the left. We kayaked, snorkeled and swam every day. The beach was a nice sandy beach, unlike where we stayed last year. 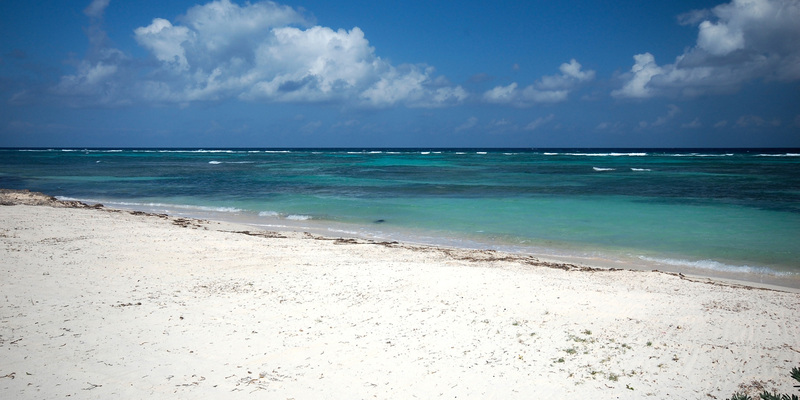 The Rum Point location is now our favorite area on the island and we WILL be back for a visit to Reef Romance. A big thank you to Reef Romance owners for sharing their home and helping us create a memorable experience with our ever growing family!!! Reef Romance was the home away from home we were searching for. The home was clean and well stocked. The living area was large enough for everyone to have room to spread out and the bedrooms all had a wonderful ocean view and king sized bed. When I say that is hard to find theses days, I cant tell you how many homes we compared this home to. Nothing fit our needs like this one did. And we are so glad to have had the chance to spend a week here. We have already started planning our return trip. We recently returned from our second stay at Reef Romance. We simply love this home and the location. Quiet private and comfortable. Large home with large bedrooms and a wonderful pool deck area to spend afternoons gazing at the wonderful view. This home does not disappoint. 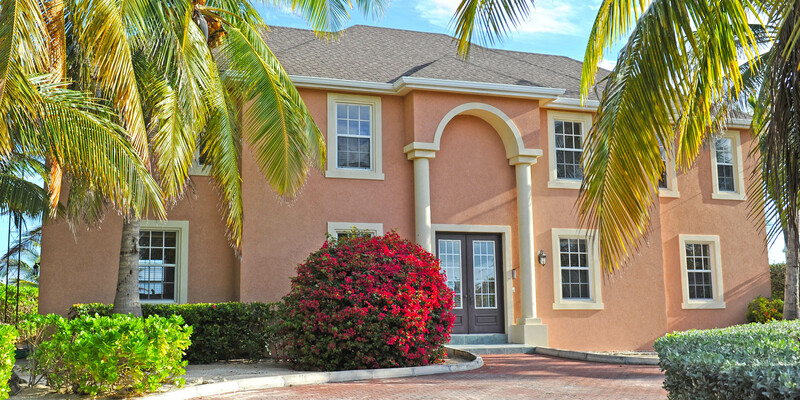 I encourage anyone looking for a fantastic family home on Grand Cayman to look hard at this home. Few homes give more than the pictures. This home is one of those few!!! We are four couples that travel to all parts of the Caribbean every year. This year we brought a 5th couple with us. Before we booked, we were fearful that the home would not be large enough for 10 people, but we couldnt have been more wrong in questioning that. The bedrooms were all spacious and oceanfront. The landscaping around the home was splendid - colorful and private. The cabana and pool were a place for us to gather and chat and trade stories. We come from all over the US and this week is always a special week for us to catch up with whats going on with our friends. While this is our first time to Grand Cayman, it will not be our last. The same can be said for Reef Romance! We will be back - all 5 couples!!! we are a large family of 5 adults and 6 children, the smallest being an infant. 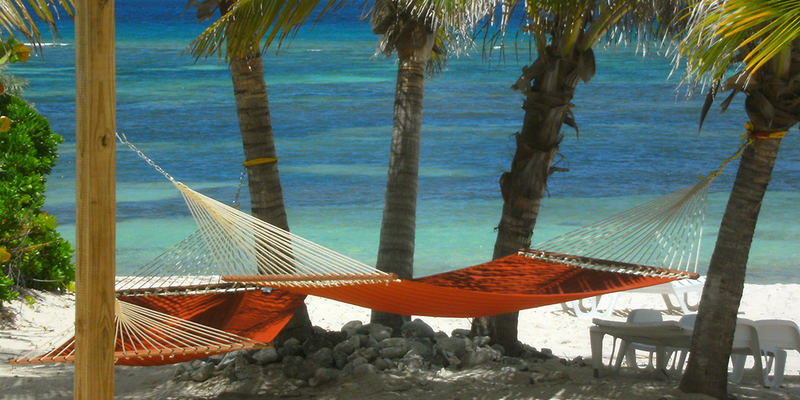 We have been coming to Grand Cayman for over 10 years and have stayed all over the island. The last 3 times we have stayed in the Rum Point area and rented from Grand Cayman Villas each time. They are professional and help with every aspect of the booking and travel process. 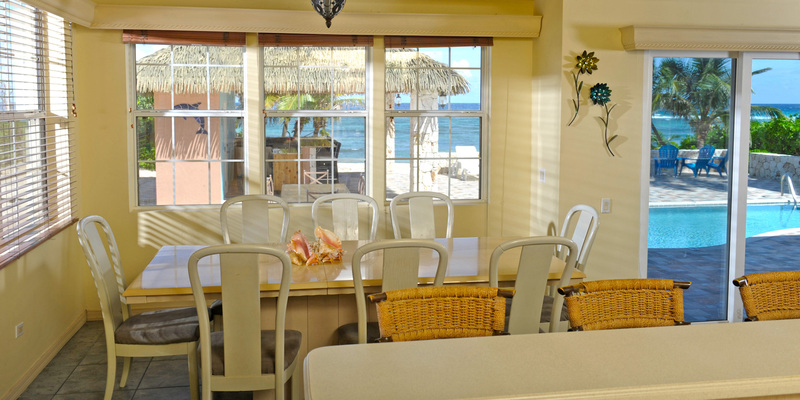 As far as Reef Romance is considered, the house was tailor made for our family. The water is friendly and no large waves, the kids played in the water all day and snorkeling is a top activity there along with kayaking. The beach was a nice sand that the kids could play in while the adults sat on the pool deck or under the cabana. The outdoor beer tab was well utilized throughout the week!!! Inside, the home is obviously well taken care of and thoughtfully stocked and laid out. 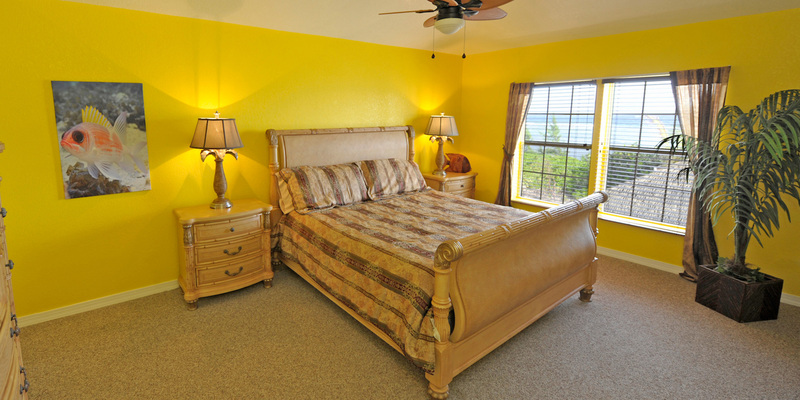 The bedrooms are large and offer wonderful views of the ocean. We could not have picked a better spot. We have loved every place we have stayed, but Reef Romance holds a special place in our hearts. We have already booked for 2017!!!!! The house was perfect for our group of 10 - our three adult children, their friends and our relatives! Five bedrooms with each room having their own connected bathroom. Everything we needed was provided - the kids loved the hammocks, beach and sun! We loved the family meals and playing board games at night - something we had never done before! We would highly recommend the house and rental company. Any problem that popped up was handled immediately - one time within 10 minutes! My wife found the kitchen fully equipped and the outdoor BBQ was great. The house is on the north side of the island - far away from the tourist spots in the city, but only 15 minutes away from stores and shopping, and 30 minutes from the airport. You will need a car - we had 2 which made getting around a lot easier for a big group. The weather was fantastic - only rained one day early in the morning. Rum Point beach and outdoor restaurant is 4 minutes down the road. Several family members visited the Botanical Garden at Frank Sound and really enjoyed it. You will need beach shoes as the shore behind the house is a bit rocky. We had a great 9 days and have memories we will cherish for life! The house was furnished with everything we needed for a completely relaxing vacation. Fully equipment kitchen including a large ice maker for the wonderful frozen drinks. Five master bedrooms well appointed offering personal space and a large great room for group time. 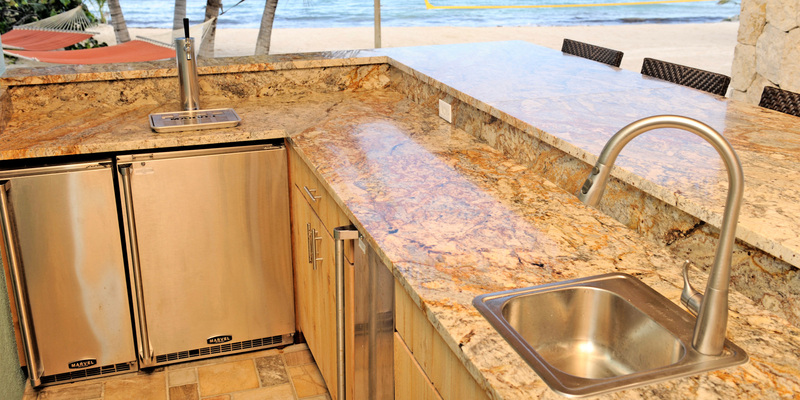 Pool and deck area offered a sandless option as well as the beach area with lovely swimming and snorkeling area. I would recommend that the lounge chairs be replaced and the shrub trimmed to offer a better view of the ocean. We were disappointed that the beach was not as clean as we are accustomed to at other beaches. Perfect place for our family - like heaven on earth! The house was so perfect for our family - we have 4 adult children, one of which is married, so a total of 7 of us. We each had our own "suite". There was plenty of room for us all. The house was well equipped - whatever wasn't there, I knew ahead of time to bring it. The information sent prior to the trip was very extensive & so helpful! Having our own pool & beach area was wonderful. Rum Point was only a mile & a half away, so if we wanted a public beach & all the activities/dining to go along with that, it was there. We traveled to the East End a few times, too. It was our first time on this side of the island & we loved it. 7-mile beach has everything at your fingertips, but a lot of crowds to go along with that. This was much more private...again, perfect for our family! If we were coming back as a family, I would definitely rent this home again. I have already recommended the house to other families & sent them the link. Cannot wait to return! We have been visiting Cayman for 30 years and have come to love staying at Rum Point. Reef Romance was the perfect solution for our large family. It was even better than the photos. The house was spotless and ready for fun. 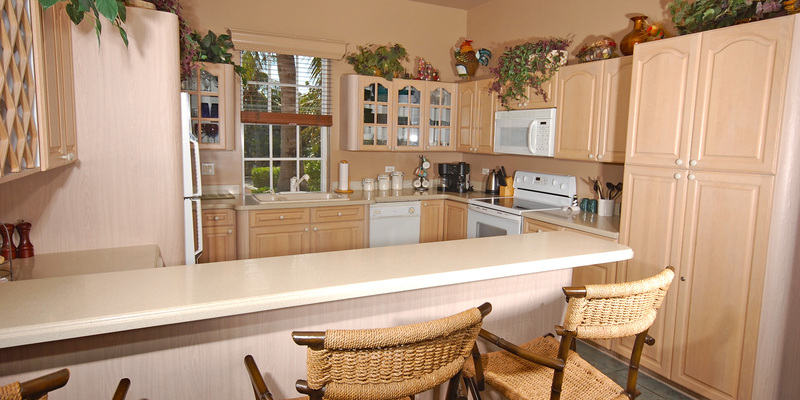 Great kitchen with everything you need. A better outside grill would be nice. We learned that we enjoy Cayman more in the summer, the water was a little cool and lots of wind. We would definitely stay at Reef Romance again! Our kids and grandkids agree!! !